Another remix for that intrepid duo, Hall & Oates. This time it is the turn of their 1977 album Beauty On A Back Street to get remixed. 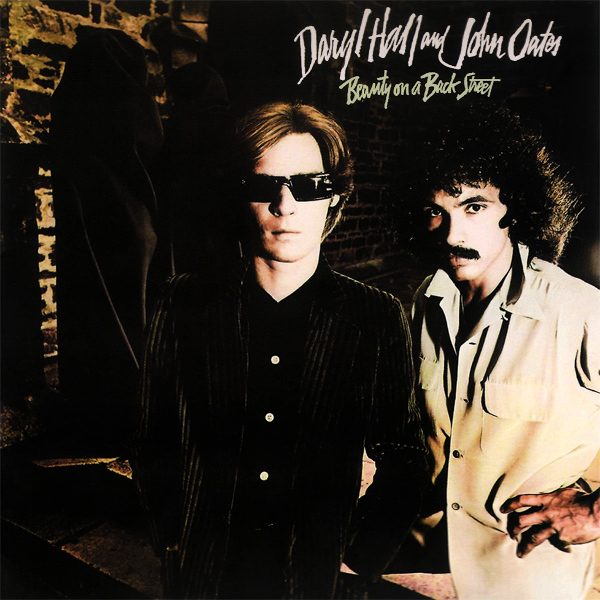 The original album front cover artwork shows Mr Hall and Mr Oates looking somewhat furtive on a dinghy back street somewhere. Certainly there is no beauty in sight. On the remix we find a beauty on a back street in the form of a babe who, for some unexplained reason, chooses to hang around back streets in naught but her high heel shoes. Go figure!